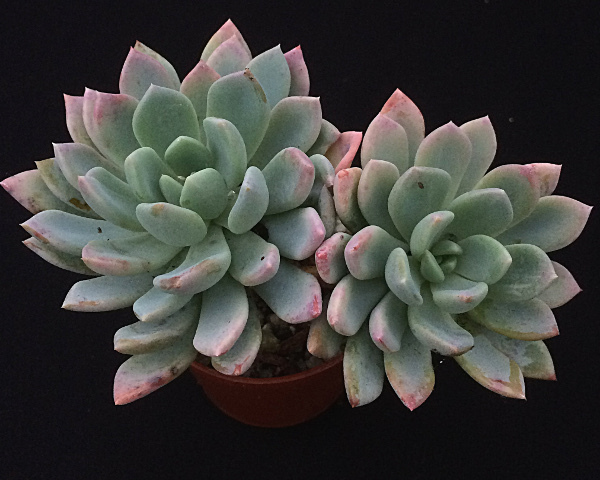 This is a compact hybrid with stunning glaucous silver-grey leaves which will flush pink/red in strong light. 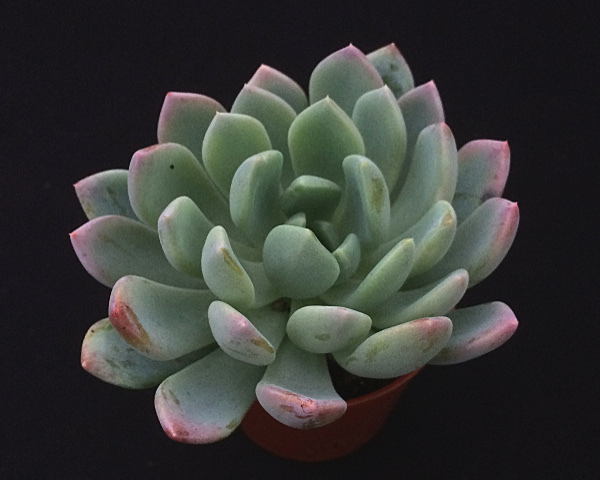 It has been cultivated as an Echeveria hybrid since it was bred in Munich in 1870 by Peter Scheidecker. 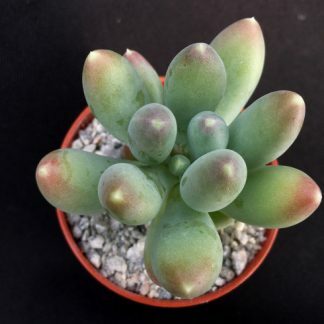 Its parents are Pachyphytum bracteosum and Echeveria secunda. 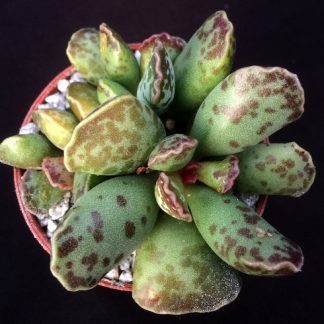 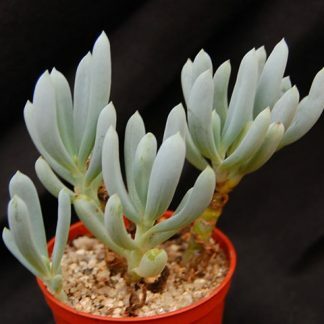 It is sometimes sold as E. elegans ‘Gray Red’ and its common name is Powdered Jewel Plant.